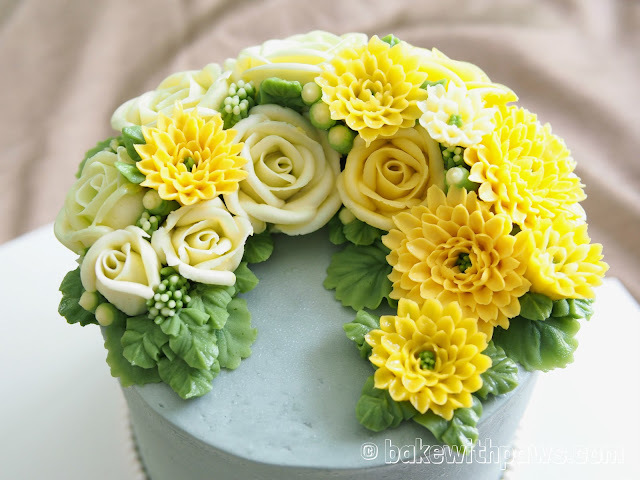 I received an order from my ex-colleague for her mum's birthday recently. 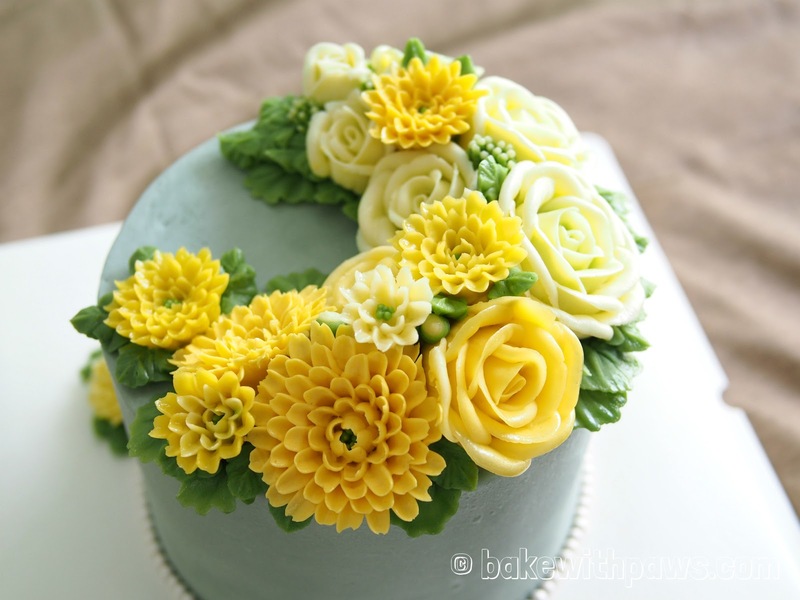 Her mum's favourite colours are yellow and white. 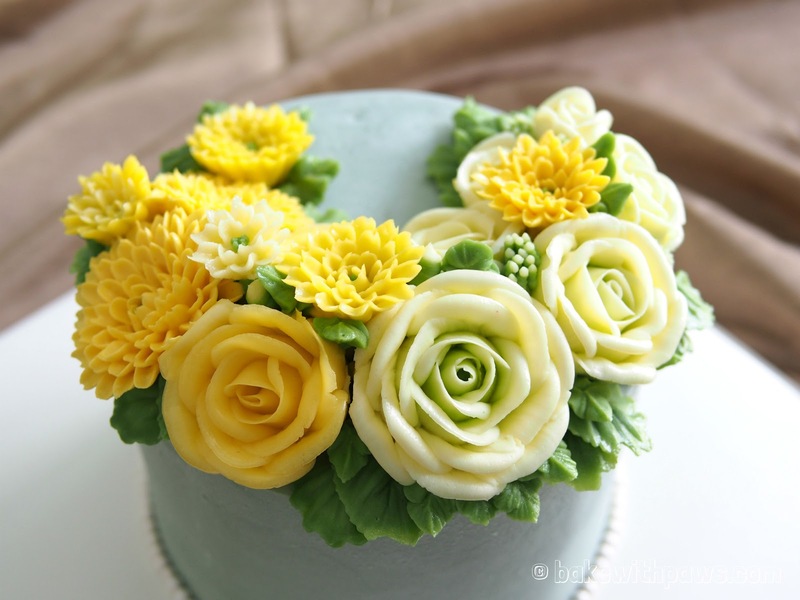 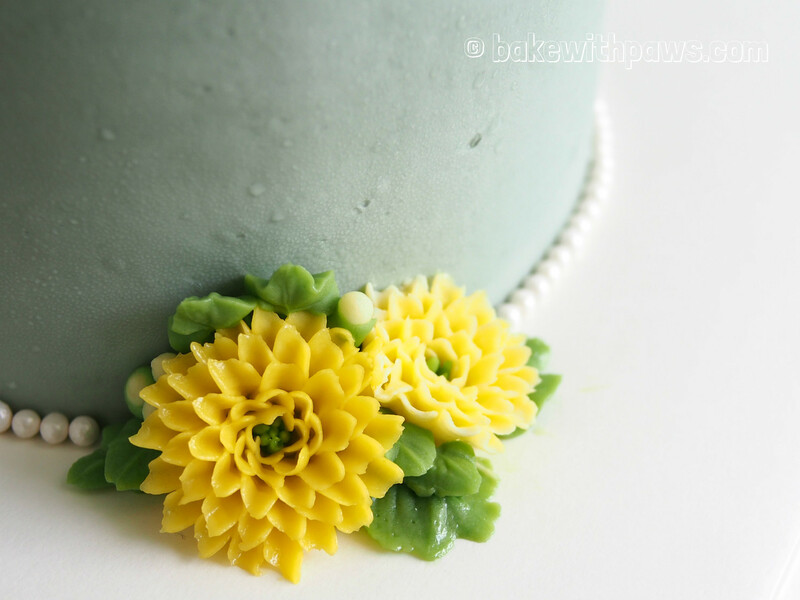 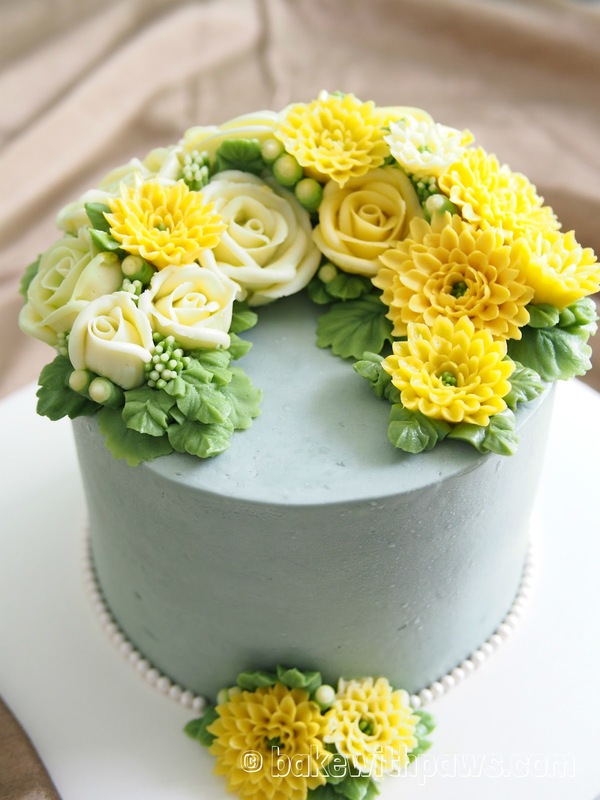 I struggled a little to get the right cake base colour to match with yellow and white flowers. 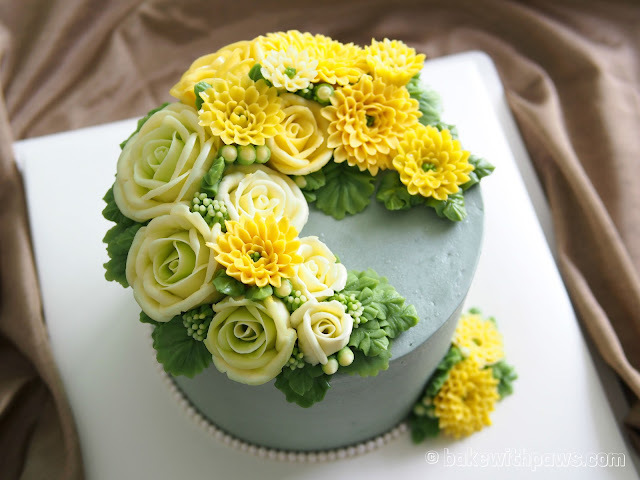 Luckily, it turn out okay. 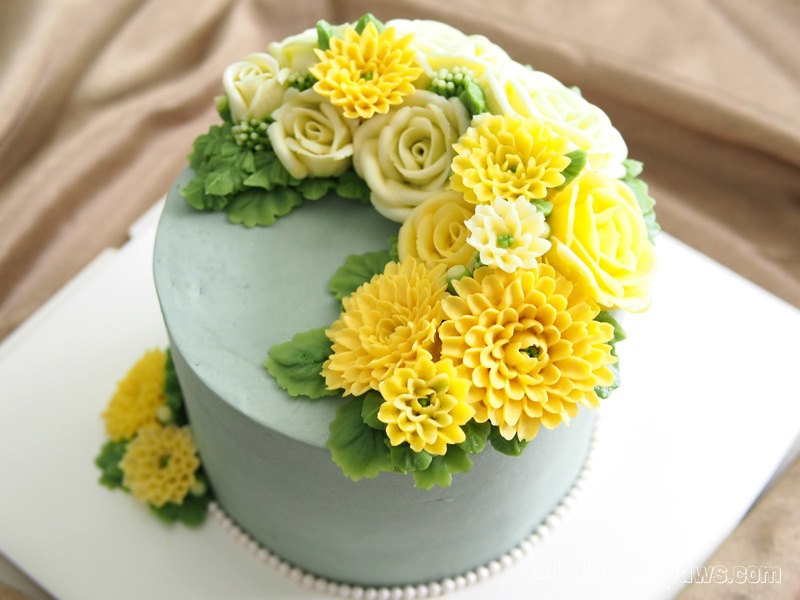 The cake is a two layered 6 inch Pandan Cotton Cake icing with Swiss Meringue Buttercream.